Design Master Electrical RT is an add-in for Revit that calculates the arc-flash incident energy at each panel in a project. 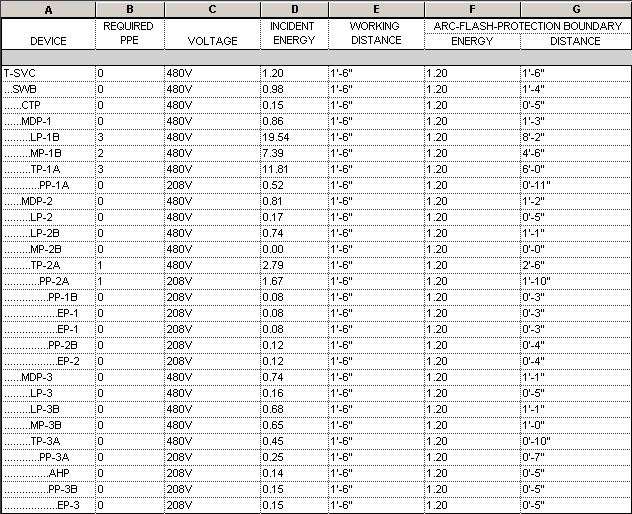 A schedule of the incident energy and required PPE at each piece of equipment can be created and viewed in Revit. Warning labels listing the required equipment specifications and energy values can be printed.